New research conducted by consulting group Wood Mackenzie and commissioned by the Australian Coal Association purports to show the dire state of QLD and NSW coal mines. The research is part of a bigger industry campaign launched at the Federal government in a bid to overturn Labor’s resource rent and carbon taxes, The Newcastle Herald reports. Speaking at a NSW Minerals Council risk management conference in Cessnock, the council's chief executive, Stephen Galilee, said it was clear the industry is doing it tough. "It's become a cliché but falling prices and rising costs – and that includes the MRRT, the carbon tax and uncertainty over planning and regulatory regimes – are making it very difficult," Galilee said. 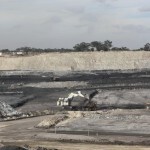 While media coverage indicates that about 600 jobs have gone in the Hunter’s coal sector, the real figure could be substantially higher, he said. The Australian Coal Association says nationally about 9000 jobs have been cut from the industry in the past 15 months. Similar Wood Mackenzie research has been used by merchant bank Morgan Stanley to show just how thin the coal industry’s margins have become. The Newcastle Herald reports that more than half the coal being exported through Newcastle is probably being sold at a loss. Almost 85 per cent of Newcastle’s coal exports is made up of lower-priced thermal coal, used in power stations, not coking coal which is used in steelmaking and is still running at about $US140 a tonne. The lower-priced thermal coal is selling at about $US87 a tonne and according to the Wood Mackenzie report more than 40 of the 71 thermal mines surveyed had cash operating costs above this level. Painting an even bleaker picture, some traders have reported recent thermal coal sales as low as $US72 a tonne. 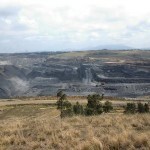 Centennial Coal’s parent company Thai based Banpu recently announced its Central Coast and western NSW mines earned on average $US65 a tonne for the first three months of 2013, or a 10 per cent drop year on year. But not all of the company’s coal was for export, with a good portion headed to NSW power stations which secure inputs for well below export prices. According to Morgan Stanley operating costs are edging up, with 71 thermal coal mines reporting costs of $US80 a tonne, up from $US70 a year ago. Any operating cost increase will affect margins, and with thermal coal mines reportedly operating on an average profit margin of $US7 a tonne, there isn’t much room to move. "Decisions around coalmine closures or expansions are likely to be more sensitive to the outlook for coal prices," the report stated. There is a glimmer of hope on the coal sector’s horizon, the Aussie dollar’s recent dip below parity is expected to ease some of the sector’s profitability pain if it is sustained over time, and China is also looking to regulate higher coal quality import standards, which will see demand for Australia’s high energy coal increase. In his address Galilee said the Australian dollar usually fell in line with commodity prices and recent drops has given miners some hope. When faced with low coal prices, a traditional approach miners opt to take is to cut production, but Morgan Stanley said the "high degree of take or pay" contracts with port and rail companies in the NSW and QLD coal sectors makes this a difficult play. 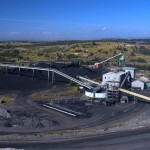 While the “take or pay” contracts offer "protection against miners' pursuit of lower costs" for rail companies Asciano (Pacific National) and Aurizon (formerly Queensland Rail National) it means coal companies are locked into paying an estimated average of $10 a tonne on millions of tonnes of rail and port capacity. Capacity they are unlikely to use on current demand estimates. Previously when coal companies are faced with a downturn, production has been cut in an effort to lift prices, it’s the old supply and demand philosophy. But adding “take or pay” contacts into the mix has upped the cost, making production cuts more expensive. According to Morgan Stanley 19 per cent of the costs facing thermal coalmines comes from rail and port charges.